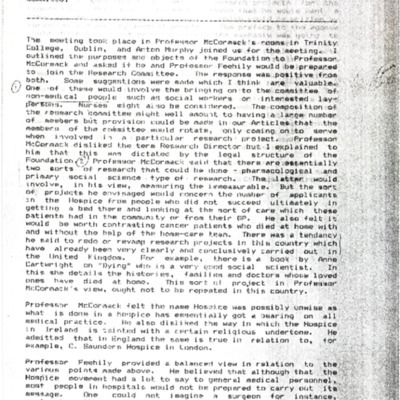 Dr. Mary Redmond recounts a meeting with Professors James McCormick and John Feely regarding the formation of the Irish Hospice Foundation's Research Committee in a undated memorandum from sometime in 1985. 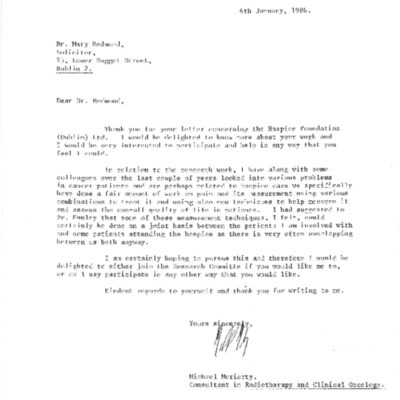 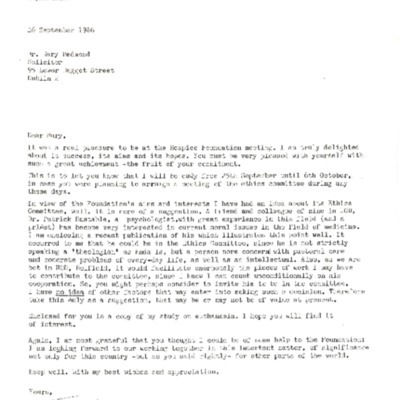 Dr. Michael Moriarty accepts Dr. Mary Redmond's invitation for him to join the Irish Hospice Foundation's Research Committee in a letter dated January 06, 1986. 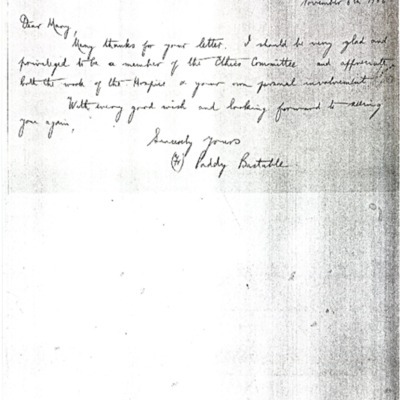 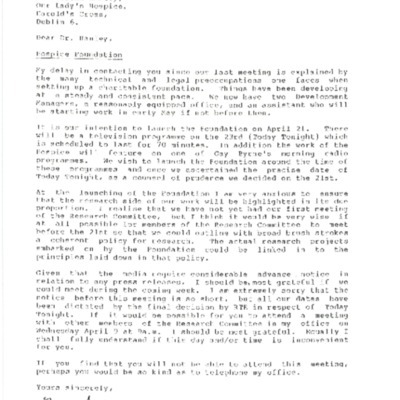 Dr. Mary Redmond writes to Veronie Hanly regarding the upcoming launch of the Irish Hospice Foundation and her wishes for the Research Committee to meet before the launch in an undated letter (most likely sent the first week of April, 1986). 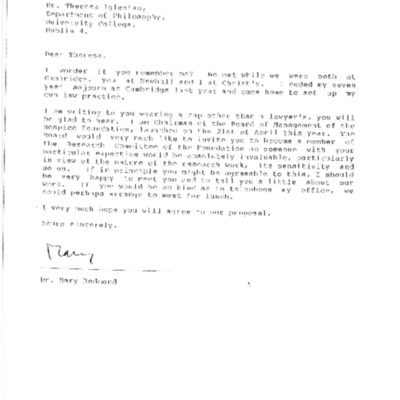 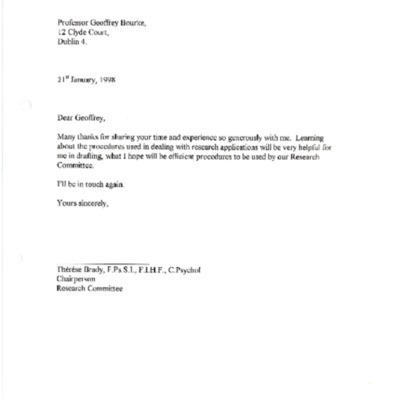 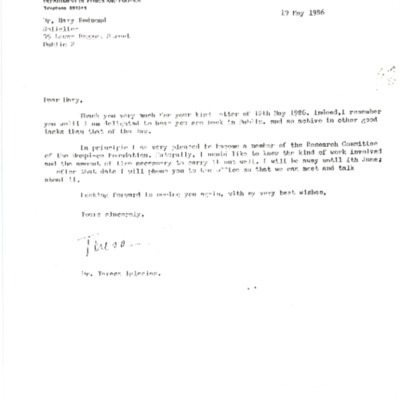 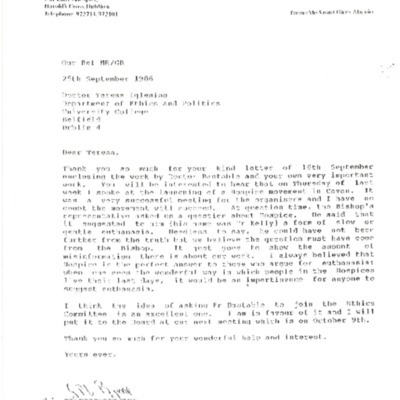 Teresa Iglesias responds positively to Dr. Mary Redmond's invitation for her to join the Research Committee of the Irish Hospice Foundation in a letter dated May 19, 1986. 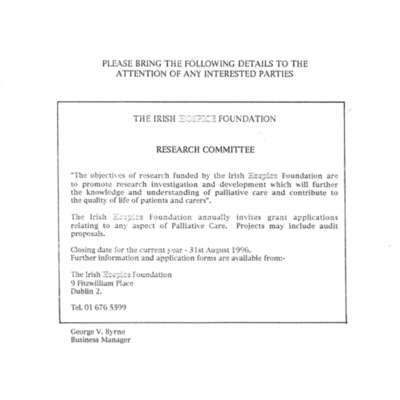 Dr. Mary Redmond extends an invitation to Teresa Iglesias to join the Irish Hospice Foundation's Research Committee in a letter dated May 12, 1986.